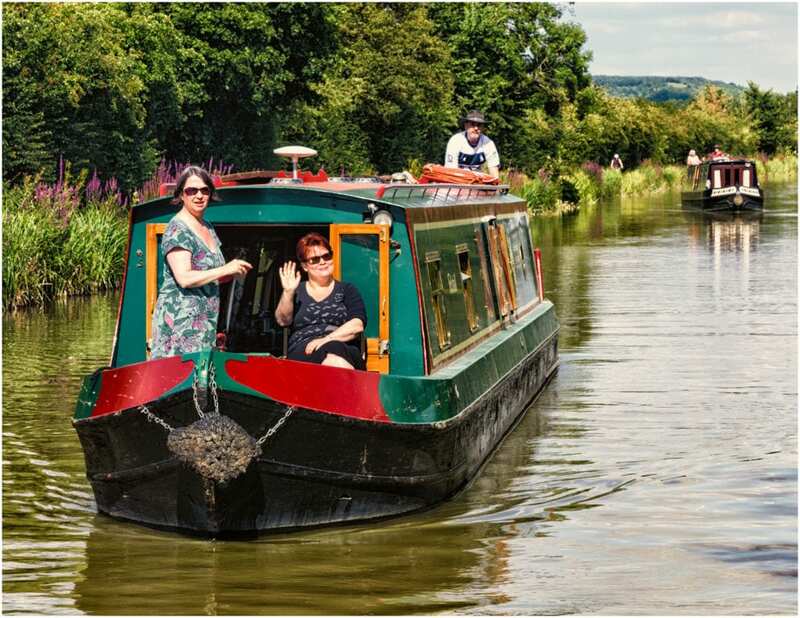 Every year we welcome many visitors from overseas and enjoy introducing them to England’s beautiful Kennet and Avon Canal. They come for the spectacular scenery, the historic landmarks, the varied wildlife and the peaceful tranquillity. Returning visitors tell us they continue to choose Foxhangers, not just for the location, but also for the quality of our 4 and 5 star narrow boats (which many call barges) and for the first class customer service. 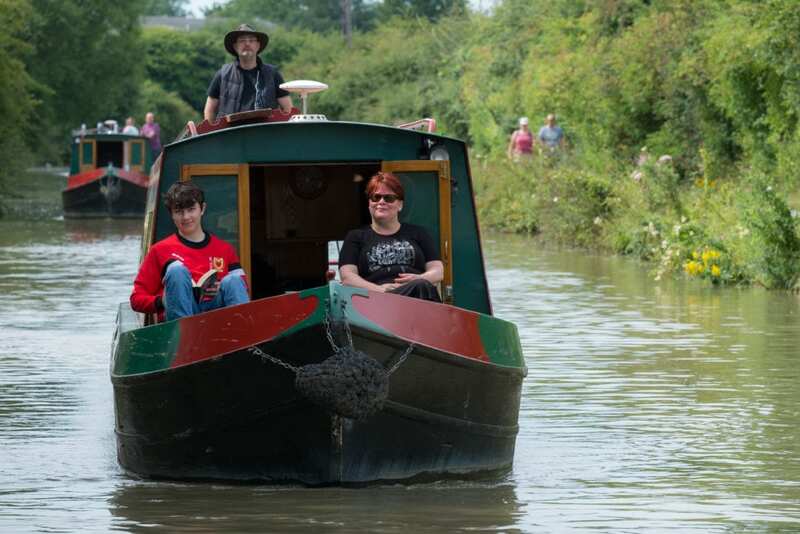 When is the best time of year to visit the Kennet and Avon Canal? Deciding when to come is difficult because each season brings its own delights to this Green Flag award winning canal. In the spring (March to May) you will see many fledgling birds, including kingfishers, ducklings, cygnets and herons. Daffodils and primroses line the banks and many of the trees are bursting into flower. In the summer (June to August), everything is lush and green, the canal is bursting with wildlife and the daylight hours are long. Picture When autumn (fall) arrives (mid-September to November), the canal is ablaze with glorious red and gold foliage. Whichever season you visit, there is plenty to see and do along the way. For more information on this, have a look at our interactive map. Is travelling to Foxhangers straightforward? There are usually plenty of taxis outside Chippenham Station and the fare to Foxhangers currently costs in the region of £30-£35 (one-way). Are there places to stay nearby before or after my holiday? Many of our guests like to stay in the area for a few nights before or after their canal holiday. 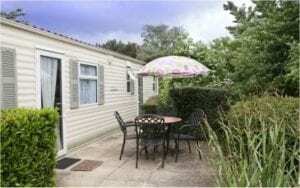 We have four well equipped self-catering units set in our orchard with its fruit trees and mature garden. What will I need to know about boating before I book? No boating experience is necessary, we welcome many novices here every year. We will make sure you are fully competent and confident before you set off on your narrowboat (barge) canal adventure. You will probably find our Novice Boaters page useful. How long you come for is up to you. We offer short breaks and holidays of a week or longer. Our Holidays Afloat page explains all your different options. Which narrow boat (barge) should I book? 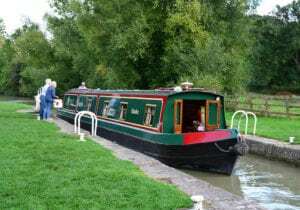 Deciding which narrow boat (barge) to hire is another choice you will need to make. We currently have 18 to choose from, ranging from those which sleep 2-4 people up to those which sleep 6-9. All our boats have both fixed beds in cabins and make up beds in the saloon area. 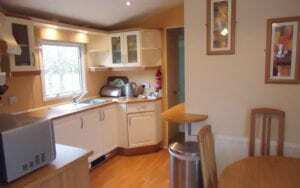 The kitchens are all fully equipped and have a full size domestic oven with four gas hobs and a full size domestic under the counter fridge. Our silver and platinum fleets also have microwaves. New to our fleet for 2018 is the first of our 5-star platinum fleet, Darwin’s Fox that boasts many additional features for those that enjoy life’s luxuries. 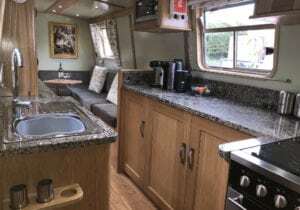 Our Hireboats page will give you plenty of options and we are sure to have the perfect narrow boat (barge) for you and your crew. Booking online or by telephone is very straightforward. 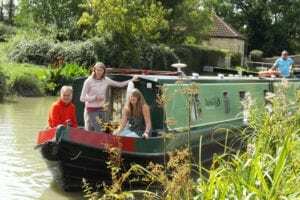 Our website shows real time availability and our friendly bookings team have a wealth of knowledge about boating, the canal and the surrounding area. What about food whilst I am onboard? You can order groceries online from our local community shop or any of the major supermarkets to be delivered ahead of your arrival links to online shopping (we will put any perishables in the full-sized fridge onboard). 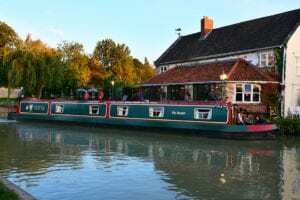 If you prefer to eat out, you will be spoilt for choice among the many English canalside pubs along the way. Our interactive map shows the location of pubs and grocery shops and there will also be a guide onboard your chosen narrow boat (barge). How much luggage may I bring? If you are bringing suitcase there will not be room onboard your narrowboat (barge) to store them. UK visitors leave them in their car once they have unpacked but overseas visitors arriving by taxi are very welcome to leave them with us for the duration of their holiday. Suggested items to take on board your boat. We hope we have covered everything our overseas guests need to know but, if we have missed anything, please get in touch if you need any further information. We look forward to welcoming you to one of England’s most beautiful locations.